Before the Flavor of Love, before the viking hats, before Public Enemy released a single, before they created Yo!, before Rush Management, before they were inducted in the Rock n Roll Hall of Fame, and before they were even called Public Enemy, they were part of a soundsystem of friends called Spectrum City. Starting in a youth centre in the 70s as a bunch of like-minded Rap fans that were learning how to DJ, the friends made it to radio in the pursuit of nothing more than having fun and keeping themselves entertained. One of the things I enjoy most about listening through old tapes and old vintage radio shows is the unexpected discoveries of gems like this. 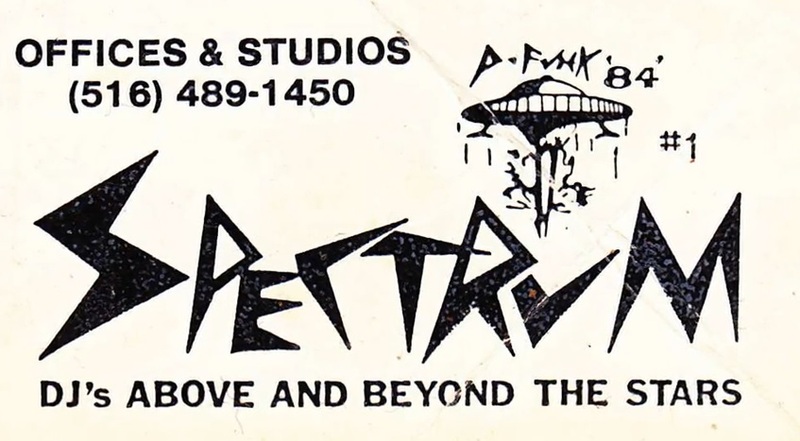 This clip, from WBAU outta Long Island, NY, as well as the WBAU clips on this YT playlist, are unreleased, unheard and unavailable to anyone that wasnt tuning in to these shows regularly at the time, 1981 [Remember these broadcasts precede the first Public Enemy releases under their original moniker Spectrum City, which was 3 years later as the artist formerly known as MC Chuckie D explains in this clip]. The track may be thoroughly entertaining, and catchy as all hell, but it’s hardly an anthem for the #metoo movement with lines like ‘Lets talk about the ugly ones that think they look good, their face is so ugly it looks like it was bashed up by wood’. It was gaffled from a Youtube clip of WBAU material, not from my personal collection this time. I just wanted to highlight what PE were doing in their embryonic days on this iconic radio show. These shows were generously shared on YT, and to most might be ‘out-dated like the running man’ but they serve as the ‘Dawn of the Def’, a snapshot of Def Jam before DJ RR had stepped inside NYU dorm room #712. They are priceless artifacts that feature the raw talent that of the DJs, producers & artists, and all of those involved in creating one of the most important and iconic groups in Rap history; The Bomb Squad, Doctor Dre’s Operating Room, the Mr Bill Show [Bill Stephney], the Townhouse 3 [Son of Bazerk] and of course, the MC Flavor Show [ Flavor Flavs own regular late night platform].